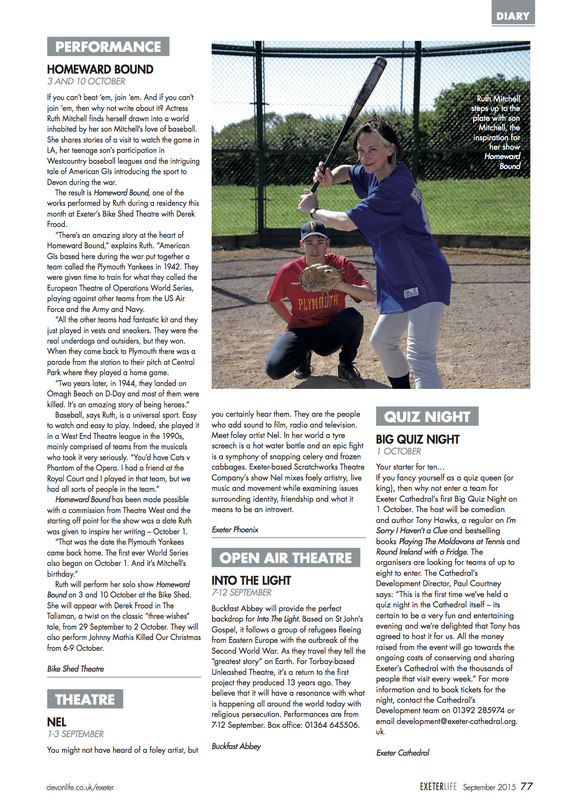 This entry was posted in Performances and tagged British Baseball Federation, Homeward Bound, Jemima Laing, Ruth Mitchell, Su Carroll, Western Morning News on September 22, 2015 by Ruth. 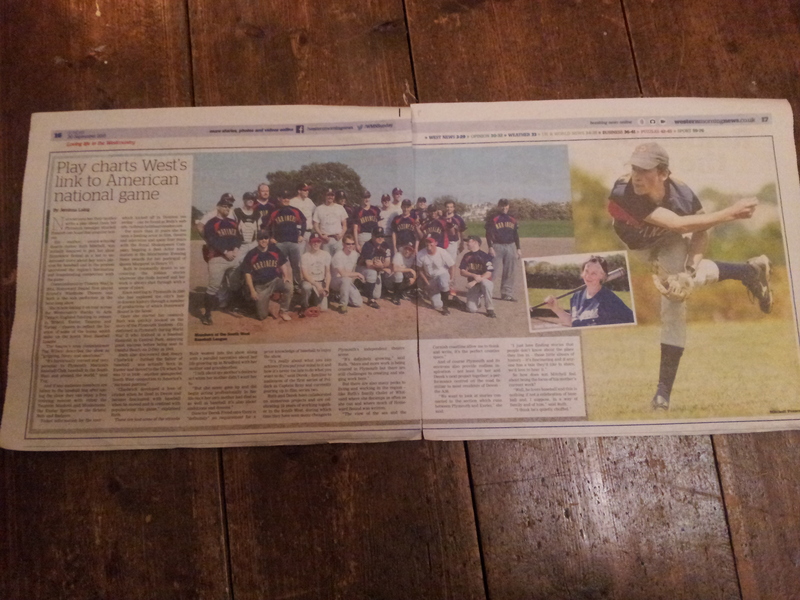 LOVE all this coverage Ruth!! Great bit on M Faulkner show too!! Ps – meant to say, I didn’t know your mum was a professional actor!!!!!! Gees we need to sit down with a glass of wine!